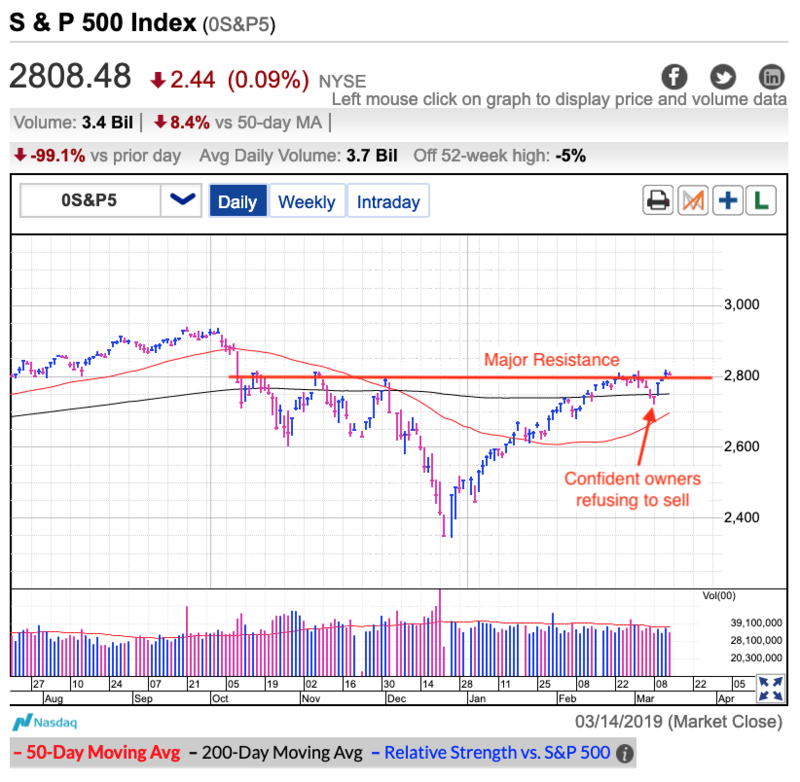 Thursday was another tough session for the S&P 500 as it lost ground for the fourth day in a row and seven out of the last eight. 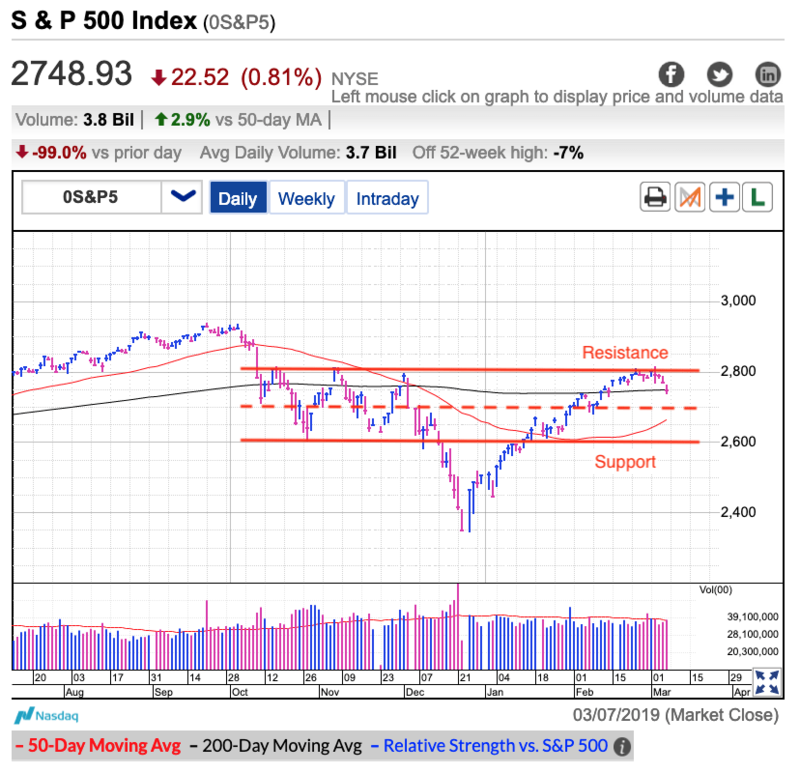 While the initial down-days were trivial and more sideways than down, the last few have started to add up and we now find ourselves at the lowest levels in nearly a month. This leaves us 70-points under Monday’s opening highs and is quickly on its way to being the biggest pullback of the year. Barely two weeks later and we’ve strung seven out of eight losing days together. Who would have thought??? But now that we’ve given up a big chunk of February’s gains, the question is what comes next. 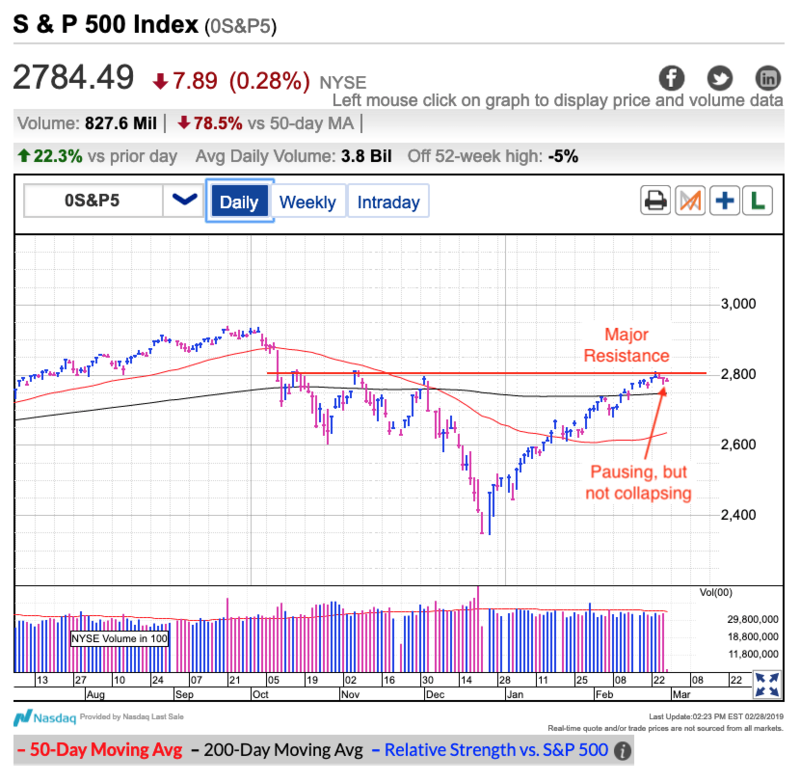 Even though this is quickly becoming the biggest dip of the year, it still has a long ways to go before it qualifies as a legitimate pullback and even further if it wants to match the intensity of this year’s strong start. 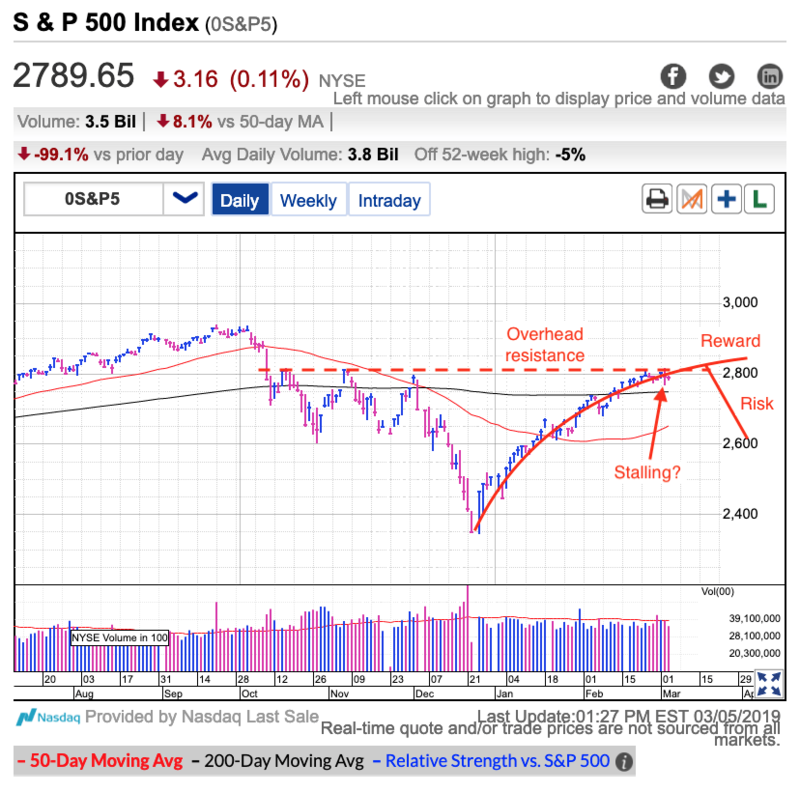 The market loves symmetry and that means big moves in one direction (last fall’s collapse) are matched with equally large moves in the opposite direction (this year’s epic rebound). If these oversized gyrations continue, there could be a lot more downside over the next few weeks. 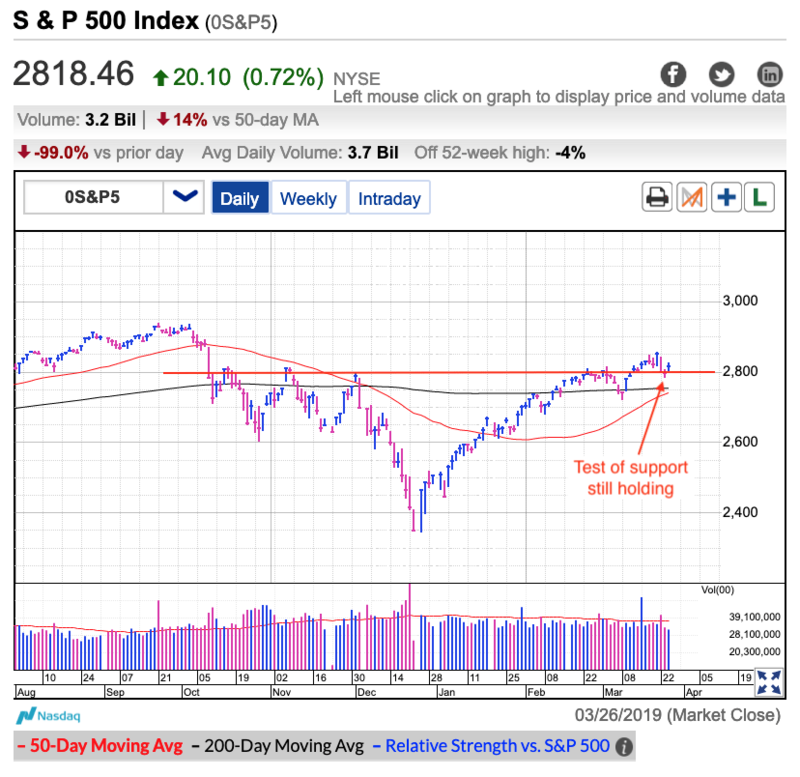 We are currently challenging, and finding support, at the 200dma. If that fails, then 2,700 is the next meaningful level. After that, maybe 2,650…..but more likely 2,600. If we fall that far, most likely we will tumble under 2,600 support before finding our footing. I’m not predicting that we fall that far, just pointing out that it is a very real possibility. The goal isn’t to predict the future down to the day and dollar, but to understand the odds and be prepared for what is coming our way. It is a lot easier to sit through a dip and react rationally when we know what is coming. This allows us to craft our trading strategy with a clear head and not overreact and make poor decisions like everyone else in the crowd. My preferred way of approaching these situations is selling and taking profits early. While other people are sitting through this weakness wondering if they should sell or keep holding, I’m looking at the market with a clear head and waiting for a great dip buying opportunity. When they’re getting scared out, I’m jumping in. If most people lose money in the market, shouldn’t we be doing the opposite of most people? Is the market’s mood changing? Volatility is making a comeback. 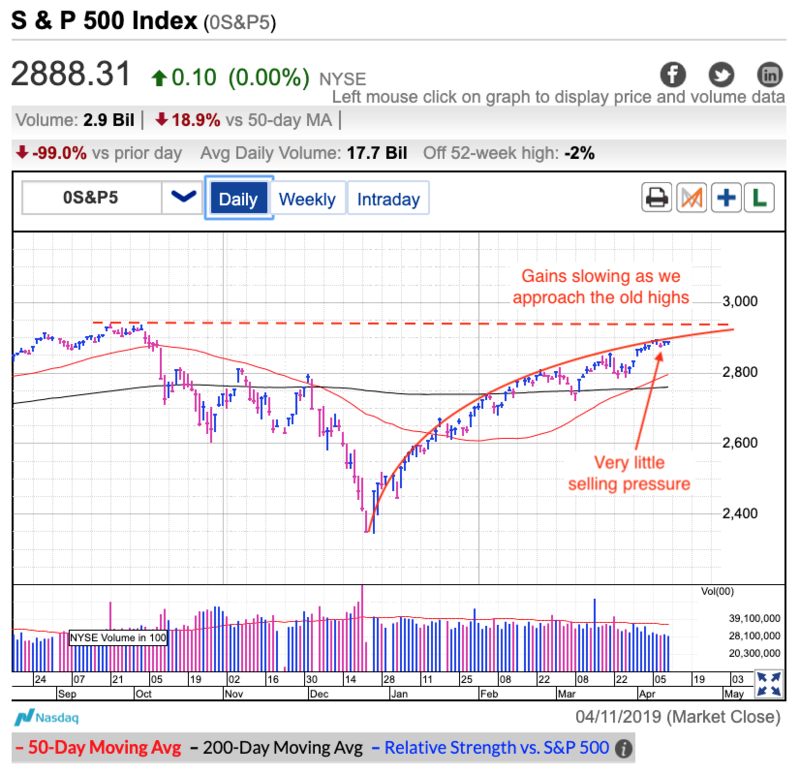 Monday’s wild swing produced the S&P 500’s biggest loss in nearly a month and the intraday price range was one of the widest of the year. Tuesday’s dip also marked the fifth loss out of the last six trading sessions. “Widely watched resistance levels often turn into self-fulfilling prophecies. Prices rally up to resistance. Technical traders see this signal as a good place to take profits. Their profit-taking pressures prices, leading to a small pullback. Other traders see the weakness develop, so they start selling too, adding even more pressure. 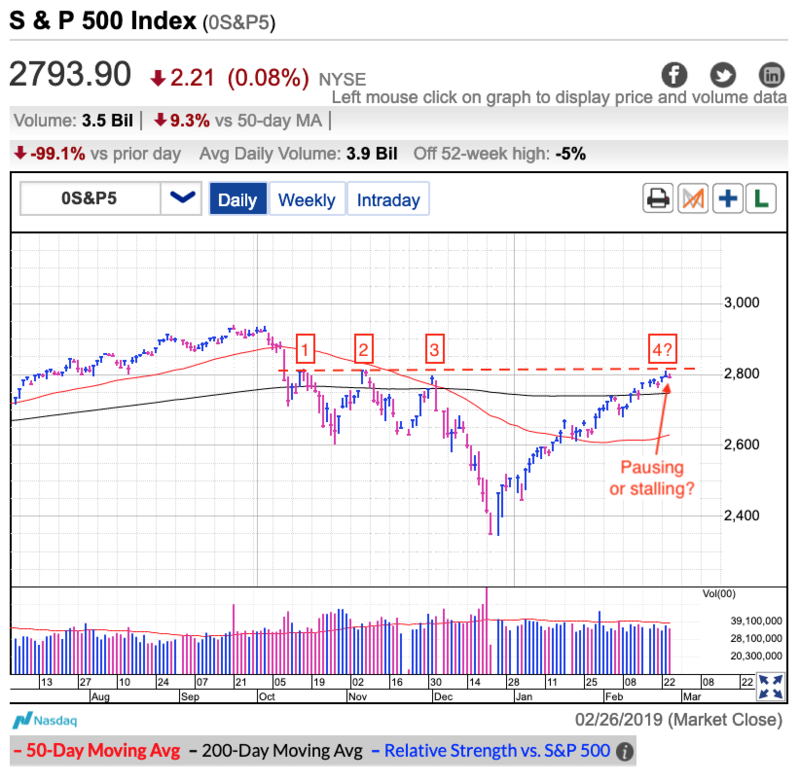 Prices keep slipping until either we run out of sellers, or they are attractive enough that dip buyers jump in and take advantage of the discounts. Prices only slipped a fraction so far and it is encouraging to see supply dry up and dip buyers jump in so quickly. But this string of losses is definitely a new thing for a market that has done nothing but go up all year. Everyone knows prices cannot rally at this rate forever. But they lose track of this fact in the moment. People love trends and they cannot help but imagine they continue as far as the eye can see. But just like every dip eventually bounces, every rally eventually stalls. One of the bigger flags for me was Monday’s fizzled breakout following encouraging news coming out of US/Chinese trade negotiations. If you believe the headlines, the sides are quickly approaching a deal. Weeks ago, this news would have sent stocks flying 2% or 3%. Unfortunately, Monday morning they only managed to eke out a 0.4% opening gain before fizzling and shedding nearly 50-points. 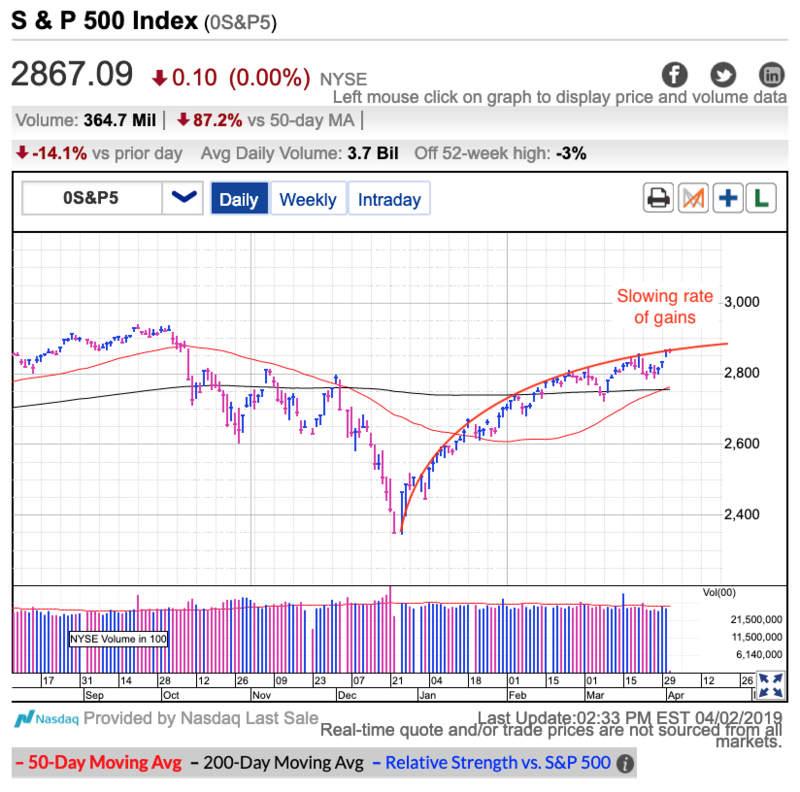 We were lucky a late-day rebound recovered a big chunk of those intraday losses, but that midday swoon demonstrates just how much selling potential is hiding in this market. The biggest question is if Monday was nothing more than a momentary bout of indigestion. Or if it really is the first signs of a mood change. I certainly wish we could go up like this forever because that would make trading a million times easier, but we know that’s not the case. This rally will pause and even pullback, the only question is when. While we can continue drifting higher over the near-term, the rebound from the Christmas lows consumed a ton of demand. The problem is that no matter how much better the news gets, eventually we stop going up because everyone who wanted to buy has already bought. This happens so frequently in the market it actually has its own cliche “buy the rumor, sell the news”. 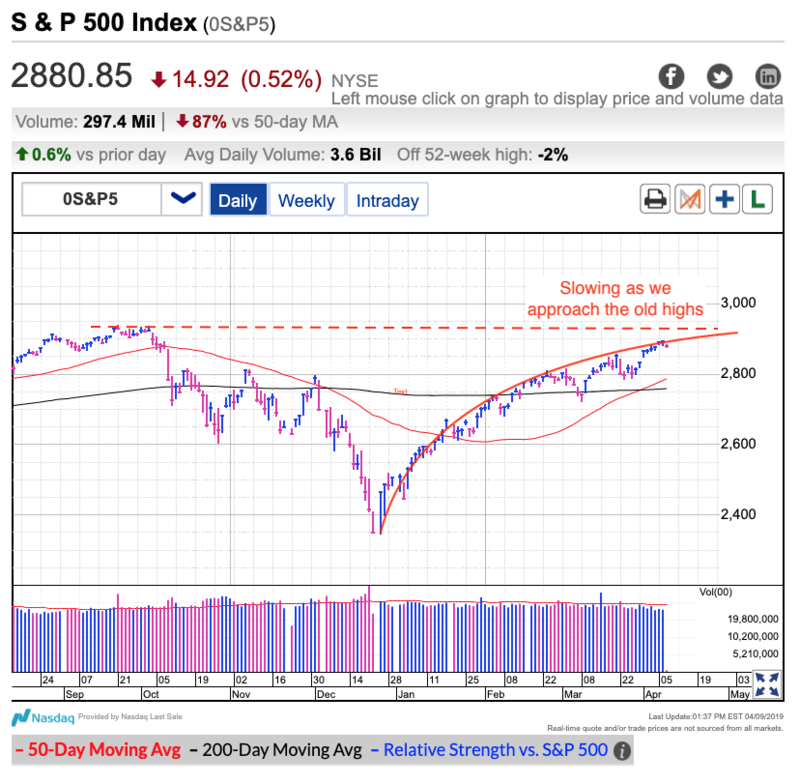 The market is still acting well and the drift higher can continue over the near-term, but a lot of buying has already happened and there is a lot of air underneath us. Limited upside and lots of downside creates an almost tragic risk/reward. Long-term investors should ignore these near-term gyrations, but for a short-term trade, buying up here definitely borders on foolish. The way I view this market from my years of experience, it is too late to buy, but too early to short. 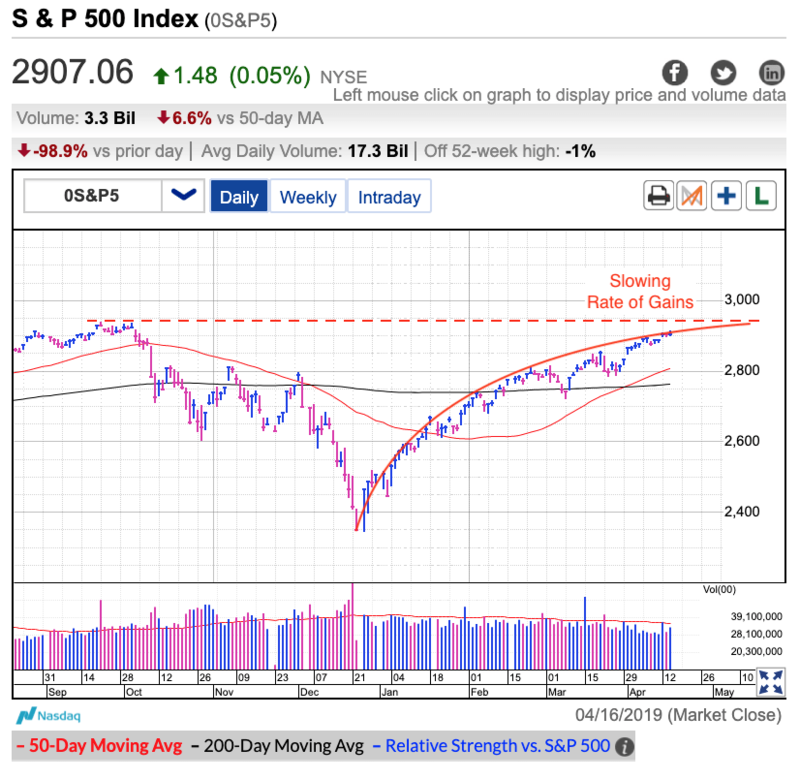 Prices are holding up well and it will take more than just weak price-action to convince confident owners to abandon their stocks. Most likely, the fatal blow with come from the trade deal. Failing to reach a deal will obviously send stocks tumbling. But even a deal could ultimately turn into a letdown if it isn’t as good as the market is hoping for. We very well could be on the verge of a “buy the rumor, sell the news” kind of trade.